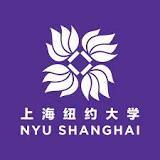 On 16 April, 2016 NYU Shanghai will host a Sustainable Development Conference. 2016 is a pivotal year for sustainable development, as we move towards different kinds of social and economical structures. NYU Shanghai Sustainable Development Conference aims to raise awareness for the current global environmental issues and to share information about the current environmental issues and practical, evidence-based solutions to them. This conference provides a unique opportunity to bring together stakeholders from academia, international agencies, NGOs, and ecological businesses to share practical solutions towards the achievement of more sustainable and inclusive societies. There will be a full day of presentations, discussions and networking with peers and industry leaders who are working for a sustainable future. In addition to the great talks, there will be an Eco-Fair, a Farmers’ Market, and an Art Galla event. The conference boasts an incredible lineup of presenters who are prepared to arm participants with new strategies, insights and suggestions for how they can be part of the change. This entry was posted in Shanghai. Bookmark the permalink.